Craig Leggo is an award-winning educator, innovator, performer and speaker who is dedicated to changing the way we approach education. He is the founder of Possiblio.com, which helps large organisations design and deliver learning and development programs with heart. A highly creative and innovative leader in the industry for over 20 years, Craig has led and worked on award-winning projects for companies such as Accenture, BT, BP, Barclays Bank, Prudential and Nationwide. Using technology, psychology and deep empathy for the learner, he creates memorable, impactful and often humorous experiences that make a difference. Prior to Possiblio.com, Craig led the design and delivery of a number of industry-first projects, including micro-learning for the telecommunications industry, a serious games-based, world-first simulation for the mining industry and the first interactive voice-over website in conjunction with the Australian TV & radio industry. A serial entrepreneur, Craig currently runs a number of online businesses, and is always on the lookout for the next adventure, partnership or investment in business. As a comedian and improviser, Craig has performed in shows at the Brisbane, Bath and Edinburgh Comedy Festivals along with more than 150 individual shows across the UK, Australia and United States. He has studied and performed at The Second City and Groundlings Theatre and School in Hollywood and the PIT, Magnet and Upright Citizen’s Brigade theatres in New York City. Season One of his latest project, "Wisdom of the Aged", a satirical comedy set in an elderly care facility, has recently been released on iTunes and SoundCloud. 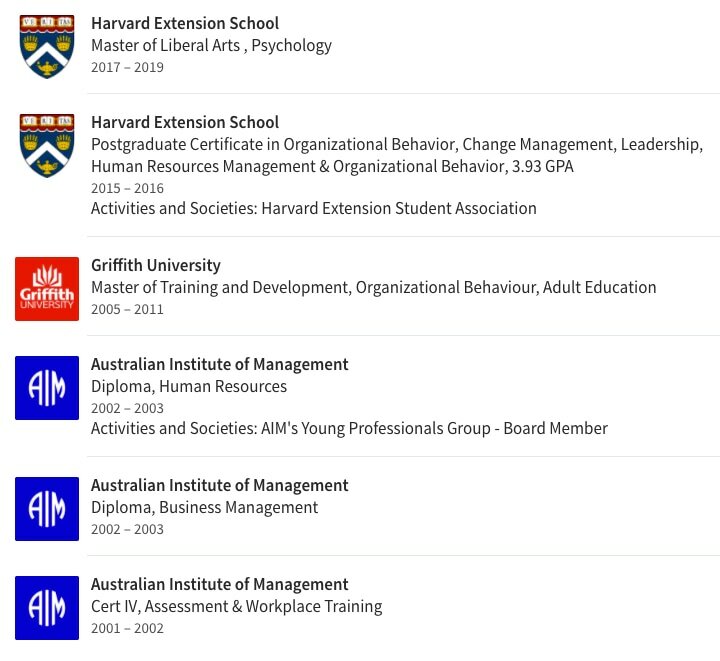 Craig studied international relations at undergraduate level, and has subsequently gained a Masters Degree in Training and Development from Griffith University and a Graduate Certificate in Organizational Behavior from Harvard University. He is currently completing an additional Master's Degree, also at Harvard Extension School. Specialties: innovation, entrepreneurism, eLearning, instructional design, training and development, change management, organizational behavior, mobile learning, micro-learning, learning simulation, gamification, assessment and training.